Note: These coupons are only for Hostgator India. Here is the complete Hostgator coupon code list for their global hosting services. And wow – that’s a lot of discount coupons! But don’t worry – there’s sense to the madness. You’ll also see a bunch of optional add-ons like CodeGuard, which allows you to backup all your files and databases automatically. There’s a separate Hostgator India coupon code for each of these products – you’ll find them in the table above. Choose the ones you want (or none), and proceed to the checkout page. Here’s where you can choose for how long you want to subscribe. 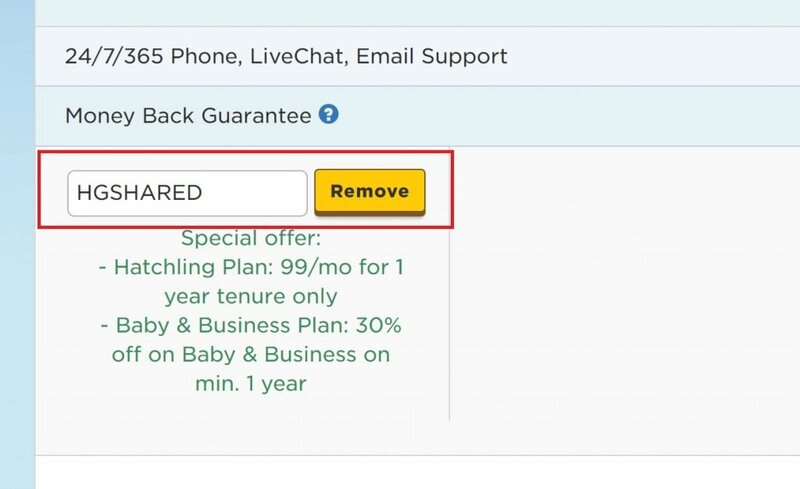 Remember that the discounts you see on the Hostgator India homepage are not for 1 year. They’re typically for 36 months, and sometimes even 5 years! The prices you see on this page have been standardized for easy price comparisons across hosting plans. 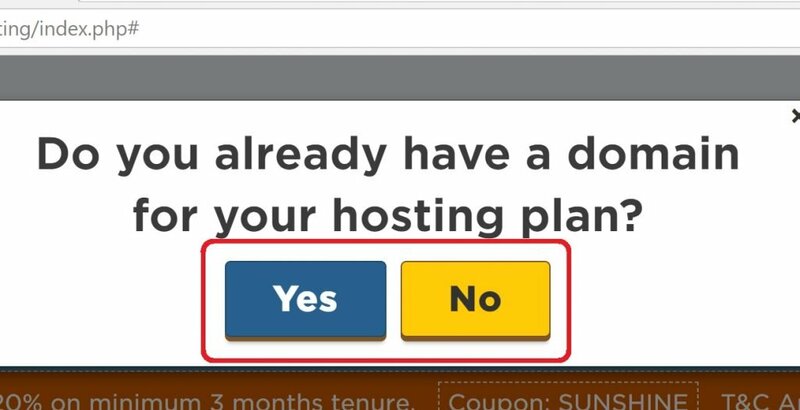 You might need to click “Remove” first to delete any existing coupon code. Remember – not all coupons are the same! 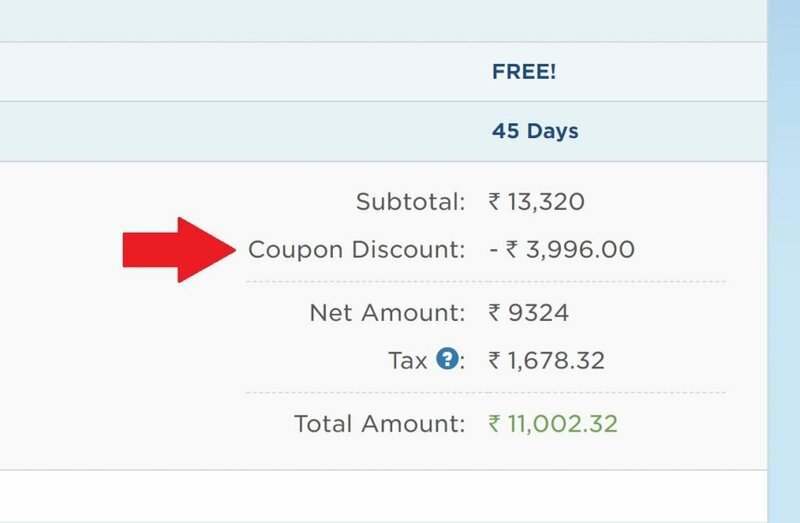 It’s possible that one Hostgator India coupon code will give a better discount than another for the same product. Some only apply to certain durations. Read the descriptions in the first table above carefully before you make your choice. When you apply the new coupon code, the description of the code will appear on the bottom in green, so you can see what the discount is exactly. In the screenshot above, I’ve chose a coupon that allows you to pay just Rs. 99 per month for the first year of hosting. A pretty good deal! And you’re done! Remember that you’ll be paying the entire amount of your web hosting plan in one go. You won’t be billed separately each month. It’s one of the reasons why the 3-yr and 5-yr discounts are misleading. A lot of people don’t want to commit to such a long time period out of the box! 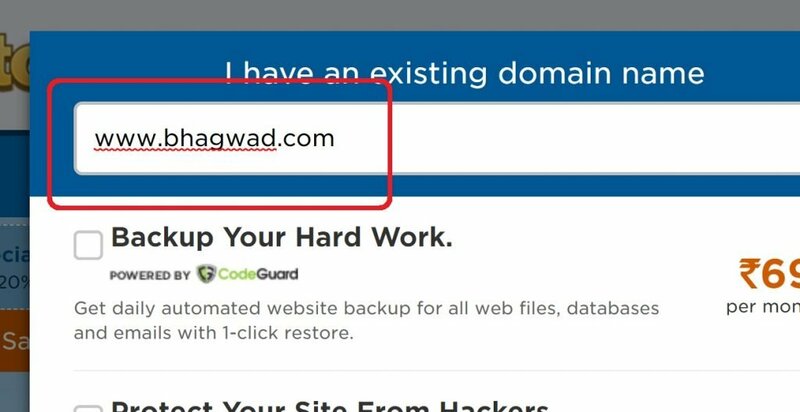 Out of all the big hosting companies, Hostgator India uses coupon codes extensively to promote its products. Each of these promos has a shelf life, so it’s important to get the timing right. Other hosting providers like Bluehost or SiteGround display their discounts openly on the front page. With Hostgator India, you need to hunt in order to find the one that works for you. As you can see, there are multiple coupon codes in 2019, and some are outright better than others. Some discount codes have better offers, but require a longer subscription period. So if you’re short on cash, you might be better off using a coupon with a lower discount, but which allows you to renew at an earlier date, and which costs you less money. The company also frequently engages in “Flash Sales”. 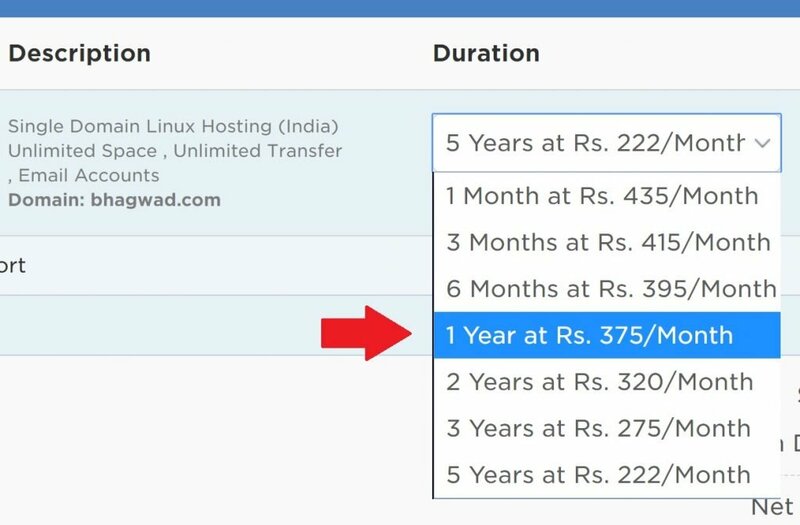 These are very temporary 2-3 day offers with a special Hostgator India coupon code and you need to act fast to take advantage of them. Occasionally I’ve seen discount coupons for 80% or more! One thing to note is that all these special deals only apply to the very first year or renewal period of your hosting subscription. When it’s up for renewal, you’ll be billed for the full amount. Bottom line: If you’re looking for a Hostgator India renewal coupon, you’re not going to find it! So don’t get carried away with a low price if you can’t afford the full billing value. These deals are built around servicing as many different needs as possible. There are Hostgator India discount coupons for everyone, and this site lists them all! You just need to find the deal that works for you. If you’re confused about which 2019 coupon code is the best for each hosting plan, don’t worry. I’ve done the hard work for you! Just consult the table below, copy the code to your clipboard, click the link, and get your discount. Note: These are web hosting prices “per year”. Most providers don’t show you their yearly pricing – all the discounts and coupons on their sites are for 36-month or even 5 year billing cycles (Notable exception is SiteGround). On this site, all prices have been standardized to a yearly basis. You’re welcome! After the global Hostgator brand started offering free SSL, Hostgator India quickly followed suit. Previously, you had to pay to purchase even basic SSL coverage. Now Hostgator India offers Let’s Encrypt certificates with automatic renewals for free! This is a huge deal in a world where Google considers HTTPS to be essential to the security of a site. Search engines now penalize non-SSL sites in the SERPS, and web browsers can show a warning when visiting a non-secure page. So the addition of free SSL is a massive improvement in service that puts Hostgator India on a par with its global competitors. You no longer need special Hostgator India coupons to get SSL! Hosts like SiteGround have a solid presence in Singapore, and I recommend them over Indian hosting companies as of now. Read more about why I think you should choose Singapore instead. Here’s a list of SiteGround’s discounts if you’re interested. Hostgator India is definitely “top of mind” when it comes to Indian hosting companies. The other provider – Bluehost India – just isn’t as active, or relevant. You won’t even find any Bluehost India coupons! 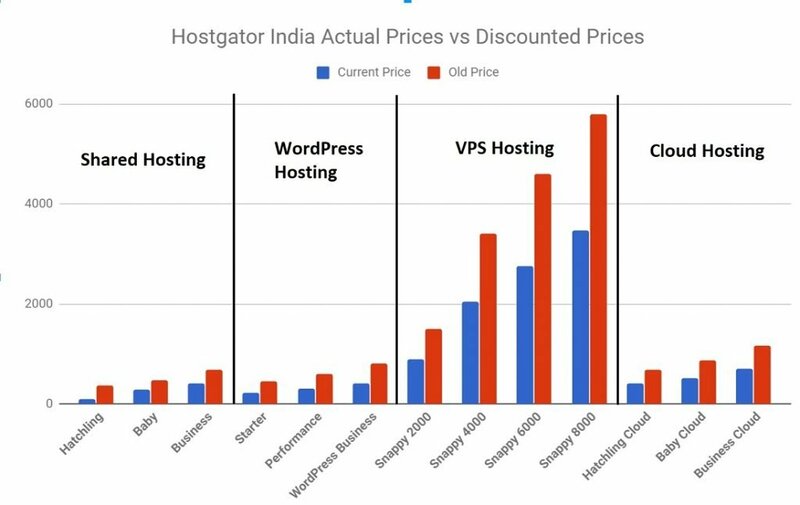 So if you’re really looking for India hosting, Hostgator India is your only option. You can get started for just a few rupees per month. They also have tieups with local payment companies like paytm. So while one doesn’t exist at the moment, keep your fingers crossed for a paytm Hostgator India coupon code paytm offer – there might be one soon! Their hosting panel features the updated cPanel interface, which is more “material” like in design – taking a cue from Google’s aesthetics. It places a greater emphasis on the search bar, and allows you to find what you’re looking for quickly and easily. In addition, the Hostgator India coupon code 2019 strategy allows it to offer a lot more discounts, that are much more varied compared to its competitors in the country. In the past, Hostgator had a somewhat shady reputation with many customer service complaints and slow website loading. However, recent reviews seem to indicate that they’ve significantly tightened up their ship. Customer service is now more prompt, and they’ve dedicated time to revamping the entire customer experience. There are a bunch of benefits to choosing web hosting in India. One element that you might appreciate is support in your local language in case something goes wrong. And sooner or later, something will go wrong – it’s just the nature of the business. In those situations, you’d like to have a familiar interaction on the other end of the line without any fumbling around with language. And for those of you who are shy on the telephone line, they have customer service on chat that I’ve personally used several times. While the peak wait times have queues for quite a few minutes, that’s to be expected. The window gives you a ping when the customer rep is ready. Moreover, the entire chat transcript is then sent to your e-mail ID, which is great for digging up past conversations for reference. Personally I prefer the text chat to the phone line. It’s easier to state your case, send screenshots, error messages etc. Plus it beats having to hold a phone against your ear in the sweaty summers! In short, Hostgator India is a pretty solid service these days that caters to customers of all types and of all requirements. They have budget, as well as premier hosting, and their products range from WordPress, to Dedicated Hosting, to SSL certificates! 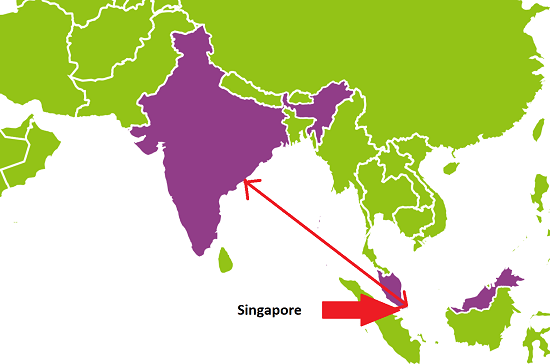 Choose Singapore, not India for Hosting! Benefits of Hosting in India?